Using 1 Bank Account for Business & Personal Use - What’s the Big Deal? What’s the Big Deal about Using One Bank Account for Business and Personal Use? Home/Uncategorized/What’s the Big Deal about Using One Bank Account for Business and Personal Use? When starting and growing your own company, there are many things to consider and pitfalls to avoid. It may seem convenient to pay your business and personal expenses from one account, but the risks in commingling personal and business assets far outweigh the short-term convenience. Accounting. It’s easier to track your company’s revenue, expenses, and growth if you keep your personal funds separate. Limiting your liability exposure. Forming a limited liability company or incorporating goes a long way toward protecting your personal assets from the risks of your business. The main benefit of running your business as a corporation or LLC instead of a sole proprietorship or partnership is that if you are sued for something business-related, your personal assets, such as your home, will be protected from what the plaintiff can potentially recover, if your LLC or corporation is properly managed. To receive limited liability protection, it is imperative to understand how to keep business and personal separate and to ensure you are actually doing that. Things like keeping business accounts and following certain formalities in an operating agreement or corporate bylaws might seem like trivial small print, but they can be the difference between putting your business at risk and exposing everything you own to liability. The way salaries and dividends are paid can also be a difference maker. If you are currently starting a business, make sure you get started on the right foot by keeping funds separate. If you have a business and you have fallen into the commingling trap, you can fix the issue by setting up separate accounts and maintaining a strong division from this point on. The longer you run your business with adequate funding that is completely separate from your personal assets, the better chance you have at limiting your liability in the future. If you have any questions concerning your business and limiting your personal risk, speak with an attorney. About the Author: Carly Bahramzad is a graduate of the University of Nebraska College of Law. Before that, she studied economics and international business at UNL. 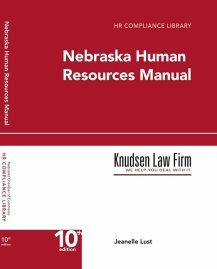 You can reach Carly at cbahramzad@knudsenlaw.com or by calling our office at 402-475-7011.